Aries: It would be a challenging month for you. The second half of the month would be better. Job satisfaction would be there with appreciation for your efforts. Health would not be encouraging. Some will get new opportunities to secure a job. Students will do well in this month. It would be a good month for finances and for married couples. Gains through spouse or friends are on the cards. Follow your intuition in making decisions. Taurus: It would be a month with strong emotions and overwhelming desires. There will be new opportunities in career. Many family issues of the past would get resolved with better prospects for the future. Professionals will enjoy hike in salary and recognition through government in career. Those in romance will have chances of getting married to their partners in the middle of the month. Watch you’re your diet as you are prone to digestive disorders. Gemini: Better prospects will prevail during the second half of the month. This is a stable month for your career. Businessmen may have moderate returns during the course of the month. It would be an ideal time to complete your projects. Business related travel would yield positive results. You need to be careful with your health. Family members would be cooperative towards you. Students will have to work hard and distractions should to be avoided. Cancer: Financial gains will be enjoyed during the middle of the month. Purchase of luxurious things and valuables will take place. Partnership businessmen will have to be handled carefully. Doctors and engineers will find good time for their earnings. Career persons will see many favorable trends during the course of this month. Married couples will enjoy peace and harmony. Good period for students preparing for their exams. Leo: You may have to deal with challenges during the beginning of the month. Those in romance will have chances of getting married during middle of the month. Be careful in handling monetary matters as there are chances of losing it. Career persons will have chances of going abroad and there are chances of getting transfers along with promotions. General health ailments would be seen, like headache, bone and joint pain. Students will shine well during the middle of the month. Virgo: You will enjoy good benefits through friends, spouse and partners. Children will be helpful to you during this period. Financial flow will increase during the beginning of the month. Unexpected gifts or rewards will be coming through your profession. Good health will be enjoyed. Students will do well in their examinations and would secure scholarship for their extraordinary performance. New ideas and thoughts will be created in your business. 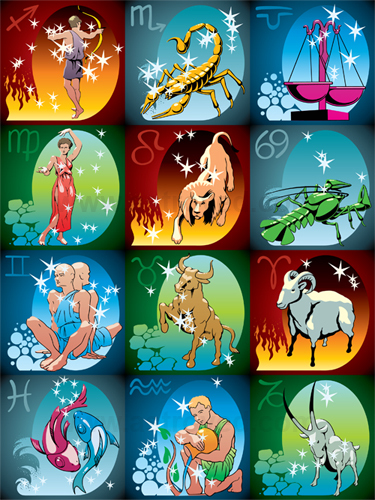 Libra: It is a good month for the Librans both monetarily as well as professionally. Auspicious events will take place in the family. Those seeking government jobs will see their dreams fulfilled. Partnership business will yield good profits during this month. You need to take care of your health. Students will do well in their studies. Spiritual involvement will give peace of mind. Romance will not be favorable during this month. Scorpio: Amusements and entertainments will keep you engaged during the beginning of the month. Gains through speculation, financial agencies or insurance are possible. Romance will be favorable and some may get married. Stay away from stress and negative thoughts to enjoy good health. Sagittarius: You will be taking bold and courageous decisions during this month. Married couples should handle their relationship issues in a matured manner. Money flow will be good during this month. Share market business will be good. You are likely to suffer from ear problems. Capricorn: Material comforts will bring a change in your livelihood. Spiritual activities will give you peace and happiness. Children will bring name and fame to their parents. Financially, it would be a good month for you. Eat well and include yoga and exercise in your routine for good health. Aquarius: You will have all beneficial effects with all sorts of comforts in your family during the month of September. Auspicious events will take place in the family. Those who are unmarried will tie knot during this month. Businessmen will do well this month. Pisces: You will benefit through your career in the beginning of the month. Unexpected monetary gains would be enjoyed through government sources, speculation and gambling. It is not a favorable month for romance. Pay attention to your health.